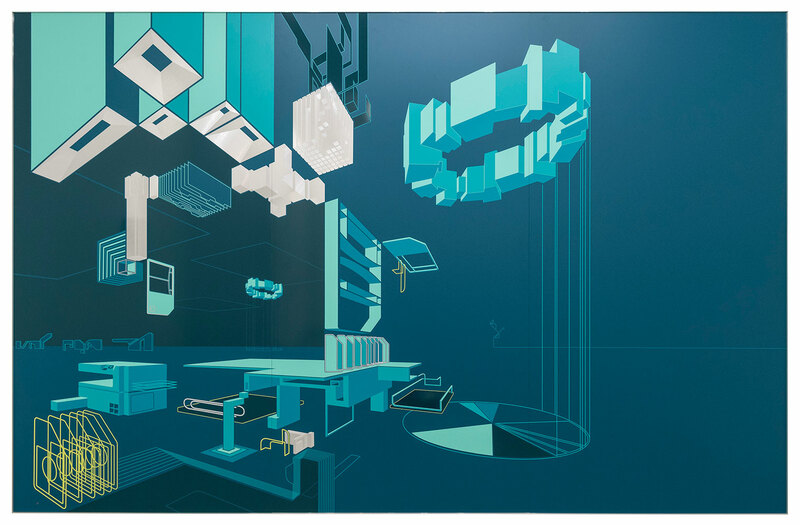 Fold Gallery London » Schematic surprise: Ian Monroe | S.I.M. SCHEMATIC SURPRISE: IAN MONROE | S.I.M. This exhibition feels like stumbling into a surreal architecture office. There are blueprints on the wall but they don’t seem to be for anything specific. The same can be said for the constructed objects on the floor that look formal enough that they should have a function, but don’t. This is a playful take on the norms of office life, by presenting abstract concepts as something purposeful. S.I.M: Ian Monroe at Fold, 158 New Cavendish Street, W1W 6YW. Until 14th October.